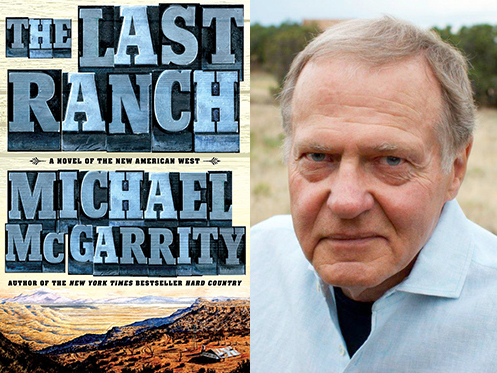 The grand saga of an American ranching family continues in The Last Ranch, the final, mesmerizing book of New York Times bestseller Michael McGarrity’s gripping and richly authentic American West trilogy. When Matthew Kerney returns to his ranch in the beautiful San Andres Mountains after serving in Sicily during World War II, he must not only fight to recover physically and emotionally from a devastating war injury, he must also battle attempts by the U.S. Army to seize control of his land for expanded weapons testing. As Matt is forced off public grazing lands, restricted from gathering his cattle on high mountain pastures, and confronted by military police guarding a high-security army post on the northern reaches of the range, the reason for all the secrecy and heavy-handed government land-grabbing becomes crystal clear when Matt witnesses the boiling, blinding explosion of the first atom bomb at Trinity Site. As he struggles with an aging, stove-up father no longer able to carry a heavy load at the ranch, an ex-convict intent on killing him, and a failing relationship with a woman he dearly loves, Matt must draw upon all his mental and physical resources to keep his world–and the people in it–from collapsing. Following the New York Times bestselling author of Hard Country and its sequel Backlands, The Last Ranch enthralls with the deeply rich, sometimes heartbreaking Kerney family saga as it steps brilliantly into the mid-twentieth-century world of the new American West. Click to Read a Letter from the Author. Click for More Information About The Last Ranch.